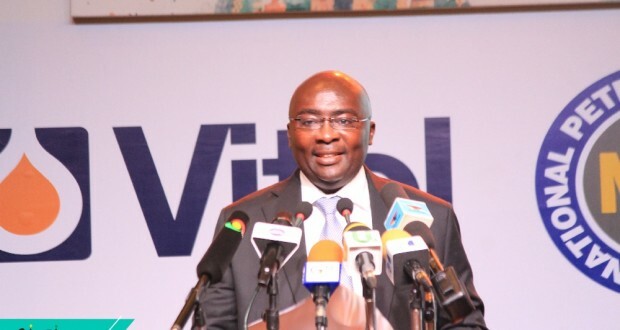 Ghana’s vision of becoming a petroleum hub may not be realized if oil service providers in the industry fail to consolidate their efforts, Vice President Dr. Mahamudu Bawumia has said. According to him, Ghana will be better positioned to compete within the sub-region if service providers like bulk oil distribution companies (BDCs) join forces. Speaking at the 2nd edition of the Ghana International Petroleum Conference (GHIPCON) as part of the Citi Business Festival, Dr. Bawumia called on all stakeholders to re-evaluate their business models to support the government in achieving its vision of making Ghana a leading petroleum hub in Africa. He reiterated that BDCs can consolidate to better position themselves as oil service providers to succeed. The Vice President made the comments while delivering the keynote address on the second day of Ghana International Petroleum Conference (GhIPCon). The second day witnessed two panel discussions. The first discussion was on the theme “Realising the vision of a Petroleum Hub: How?. It had panelists such as Tan Wooi Leong of Surbana Jurong, Singapore, Alhassan Tampuli of NPA, Hon. Mohammed Amin Adam of the Ministry of Energy and Jonathan Norton of Vitol. The third and final day of the conference will see more panel discussions, as well as a presentation of the Dangote Refinery by the Technical Advisor to the Group CEO of Dangote Industries, Eng. Banajide Soyode.